We all understand the power behind a loyal Instagram following. However, if you have nothing to monetize then all you have is numbers on a screen. 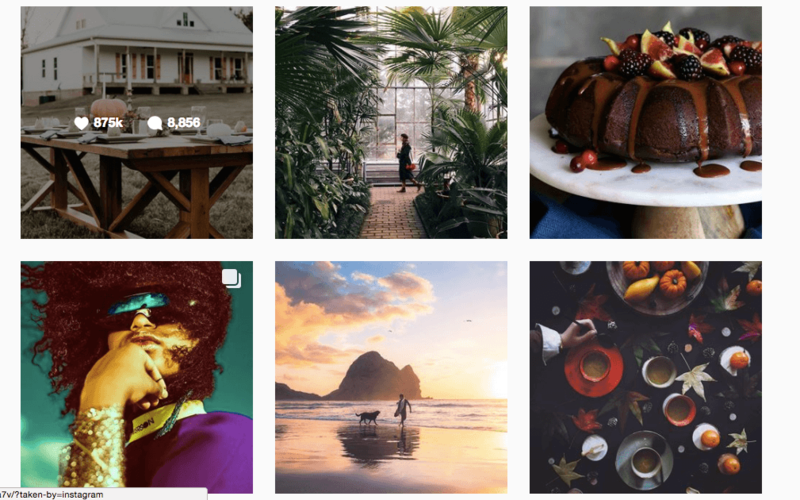 In our earlier blog post like this or this or even this…We go over everything you need to know to generate leads from Instagram, grow your account, and getting on the explore page. Now that we have shown you how to effectively grow a loyal following lets go over How to Monetize Your Instagram. 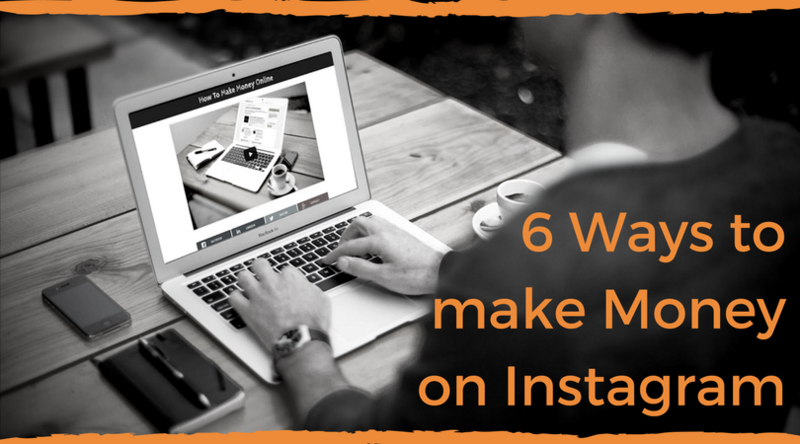 Today, we are going to go over 6 Ways to Make Money on Instagram. Let’s dive in! Since the acquisition by Facebook, Instagram has been increasingly more professional of a social media platform. Originally created to spread photos from one friend to another. The platform has evolved into a central business hub for everyone to be apart of. The opportunities that Instagram has created for both large and small scale business is unparalleled by any recent platform. The fruit is ripe for the picking on Instagram and for all our young entrepreneurs the possibilities are endless. 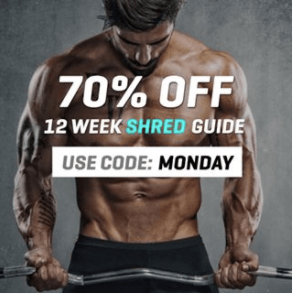 Just below we are going to go over our Top 6 Methods for Making Money on Instagram. This method is geared towards Instagram Influencers in their niche. Those with a loyal following can leverage their power within the community to smaller accounts to assist them in growth. Engagement boosting is similar to our powerlikes program. Smaller accounts will actually pay larger accounts to engage on their post. Engagement Groups on Instagram’s Direct Message or Telegram have also been created to perform the same task as engagement boosting. However, instead of paying for a particular amount of likes or comments, there is a one time fee for entrance into the group. This can be used as an opportunity to generate an income as well as network with other powerful accounts within the niche. Another reason for having an audience that is engaged is that you can leverage their attention for a fee. 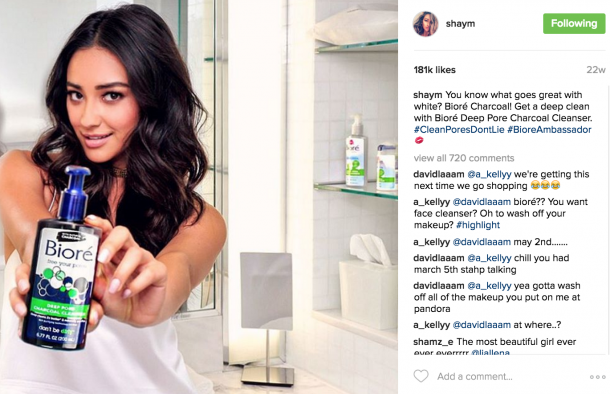 You have seen this type of social media marketing done before with celebrities that showcase a brand’s new product. They take a couple selfies with the product or showcase how it works. In doing so, they are generating social reach, leads and customers for the brand/business. The larger the account the more leverage they have. Thus, the more they can charge for advertisement on their page. Some pages charge over $500/hr per advertisement! Thanks to Instagram, your feed isn’t the only place you can sponsor a post. Instagram Stories are a great way to generate traffic to products or other accounts. However, since the stories typically reach less people than post or videos, generally they are cheaper. But both types can be utilized in conjunction to create an entirely passive income off Instagram. Have you ever heard of flipping houses in the real estate world? Well that same method can be applied to Instagram to generate an passive income. Influencers will actually purchase smaller accounts in order to grow them. Once they have reached a desired level of following or engagement the account is then sold for a profit. This type of digital real estate is becoming increasingly more popular as more entrepreneurs get on the platform. Growing an Instagram account is laborious and time consuming for most. However, Influencer have the past history of growing an account from scratch. In addition, they have the leverage and power of a much larger account to accelerate the growth of the smaller account. This type of “account flipping” can generate a huge passive income. This method is a slow process but yields very good returns at the end. For all those photographers, videographers and content creators out there you do not need a professional back ground to create content for others. All you need is talent and the right equipment and you can start selling your content rights to businesses and brands. Instagram is the perfect place for content creators looking to get discovered. Whether your taking breathtaking photos or creating a video with unbelievable effects, Instagram is full of professionals looking for people just like you to create content for them. Brands make ask you to create photos/videos to showcase their product. Entrepreneurs like Gary Vaynerchuk may hire you to follow them around and be their dedicated vlogger. Instagram has created tremendous opportunities for creative and unique content creators. Similar to Pinterest or Etsy, Instagram has a community of self made artist and inventors that market their products on Instagram. This home made market place has allowed many to chase their passions and make money doing it! Due to Instagram being a visual platform the ease of showcasing a product is simpler than ever. 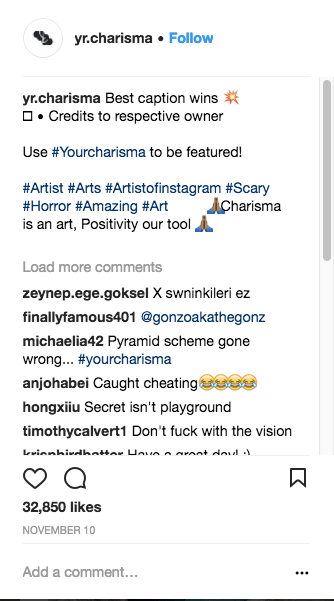 Many individuals use their Instagram Account as a Portfolio. The content they put out is solely of their work. 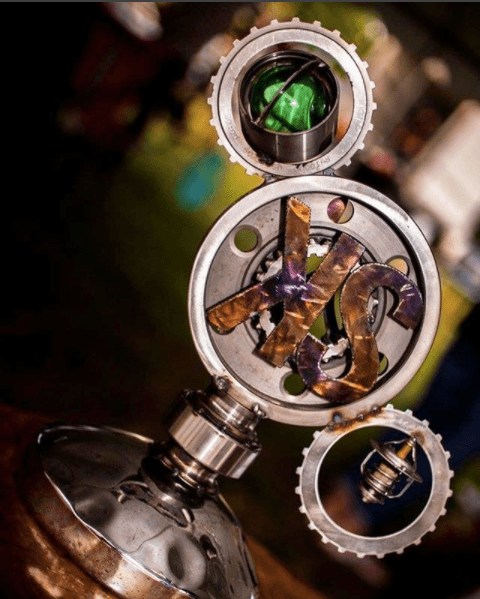 This creates more opportunity for young entrepreneurs, artists, and inventors to get noticed. Not only is their account consistently showcasing their work, but in addition their content has a chance to go viral and gain even more attention. So for those that have great talents and abilities the chances for getting discovered are drastically easier prior to platforms like Instagram. This is method is well known in the social media marketing world. But for those that are not familiar, affiliate marketing involves promoting someone else’s product for a commission for each sale. This means that influencers with highly engaged audiences can promote products that they choose and make money simply for selling the product. The account owner does not have to deal with shipping, creating the product or customer service. All they have to do is drive enough traffic to the product to generate a desired commission. Websites like Amazon Associates are full of thousands of both digital and physical products. This wraps up the 6 Ways to Make Monet on Instagram. Use these methods to your advantage in creating a laptop lifestyle. If you are looking to grow your Instagram account so that you have more leverage in business opportunities then go here. Check out this video on How to Monetize Your Instagram! I prefer youtube than Instagram. But Instagram is the perfect place for photographers to earn more. Thank you for sharing your information on how to make money online, your information seems very helpful to what I am trying to learn. After reading the article about how to make money with social media accounts at https://makemoneyonline330683478.wordpress.com/2018/09/21/the-journey-begins/ I did some more searching and came across your website. I have known for a long time that people make money using things like Facebook, Twitter, Instagram, and other social medias I just never understood how until now! Do you know if your are able to make multiple social media accounts at the same time? Thanks again! Interested in HARD ROCK? How about Kiss band? The band is on a tour at the moment all across the US. Visit KISS Tickets Hershey to know more about KISS tour in 2019.